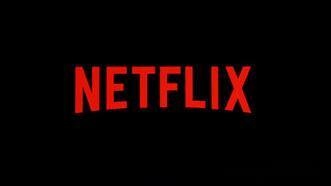 Equity Research managing director David Miller explains why he is bullish on Netflix. Netflix’s policy of disclosing the salaries of its executives has left some high-level employees obsessively checking to see if their colleagues have gotten a raise, according to a report this week. The streaming giant utilizes an open-salary policy, meaning that employees with a director title or higher are able to look up current salaries and pay histories for other employees through an internal system, according to the Hollywood Reporter. Netflix CEO Ted Sarandos purportedly implemented the policy in 2017 as part of the company’s bid to retain top talent, allowing executives to ensure that they are being fairly compensated. "Everyone is always looking. It&apos;s, &apos;Holy [expletive], they got a $2 million raise last year? What happened? !&apos;" a source with knowledge of the situation told the Hollywood Reporter. Managers at the company earn anywhere from $150,000 to $400,000, while directors earn between $400,000 and $800,000. Vice presidents and other employees with high-end titles regularly earn more than $1 million per year, according to the report. Netflix salaries are said to be 25 percent to 50 percent higher than the industry average, according to sources familiar with the situation. Netflix did not immediately respond to a request for comment on the open-pay practices. Reed Hastings, the company’s longtime CEO, earned as much as $29.4 million in 2018 in salary and bonuses, according to a regulatory filing last December. Netflix shares have soared nearly 70 percent this year. The company is set to report earnings next Tuesday.